Obituary for Wallace Gail Morrill | Drinkwine Family Mortuary, Inc.
Gail Morrill passed away at Littleton Adventist Hospital on October 26, 2018 after a short, fierce fight with pneumonia. Following his wishes, there will be no funeral service and Gail’s ashes will be spread by his family on the river in his hometown of Paonia. Military services at Fort Logan National Cemetery are pending. Gail was born October 5, 1928 to Wallace Gail Morrill, Sr. and Fay (Hawkey) Morrill in Milton, Oregon. At age 4 Gail moved with his family to Paonia, Colorado, which was his mother’s hometown. Gail’s Grandfather Hawkey had homesteaded in Paonia and started an orchard of apples, peaches, and cherries. Gail’s first job was riding horse in the orchards spraying the fruit trees. As he grew, that was followed by other jobs in the orchards such as picking fruit. 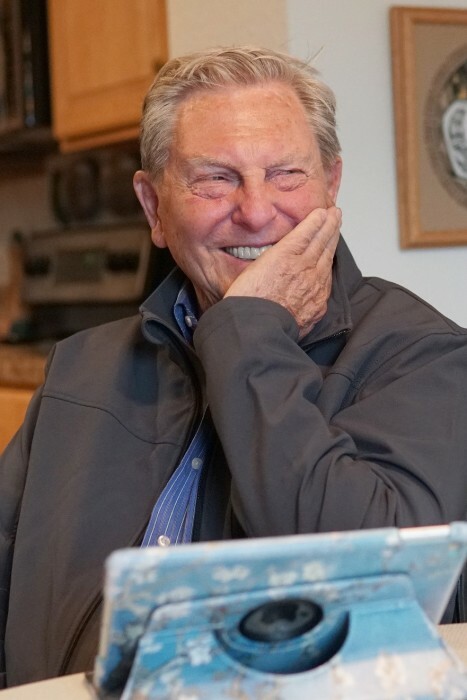 Gail graduated from Paonia High School in 1946, and since he enlisted in the U.S. Navy prior to graduation, he immediately left for induction into the Navy after graduation. While Gail enlisted for four years in the Navy, he only served a little less than two years and was discharged at “the convenience of the government”. The majority of Gail’s military service was on Adak Island in the Aleutians. Gail married Margie Ann Fredrickson May 14, 1954 at St. John’s Lutheran church in Denver and they resided in Denver until retirement when they moved to Littleton. No children were born to this union. Gail lost his beloved Margie in 2013 when she succumbed to the heart disease she had her entire life. While in the Navy, Gail learned the refrigeration and air conditioning trade. Upon discharge from the Navy, he attended Midwest Trade School on the GI Bill for that occupation, but found there were no jobs available when he was finished. He then worked construction for a few years until he was accepted into an entry level job at the Denver Water Board where he worked until his retirement as a Warehouse Supervisor. Gail was a member of the Amateur Trapshooting Association receiving numerous first place awards at Senior Vet shoots both in singles and doubles competition. Attending trapshooting events around the country was a major activity in the life of Gail and Margie. Gail also loved to hunt and fish. 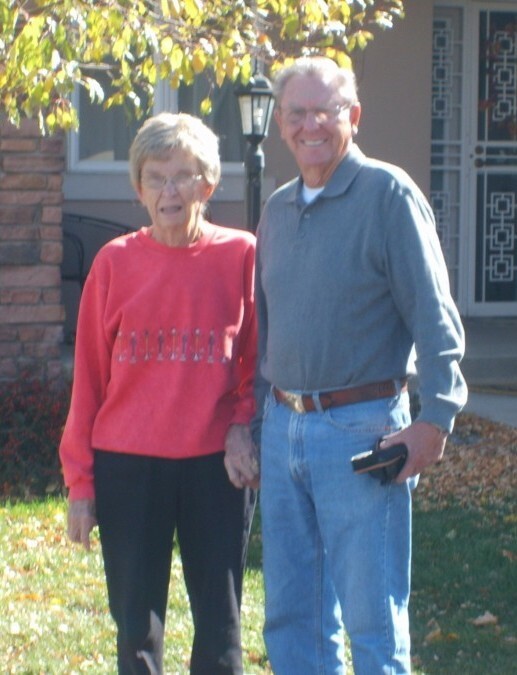 Prior to falling on the ice in front of his Riverwalk home in 2014, which sent him to Sunrise Senior Living, Gail loved to ride the bike trail from his home out to Chatfield Dam and back, a distance of about 20 miles. 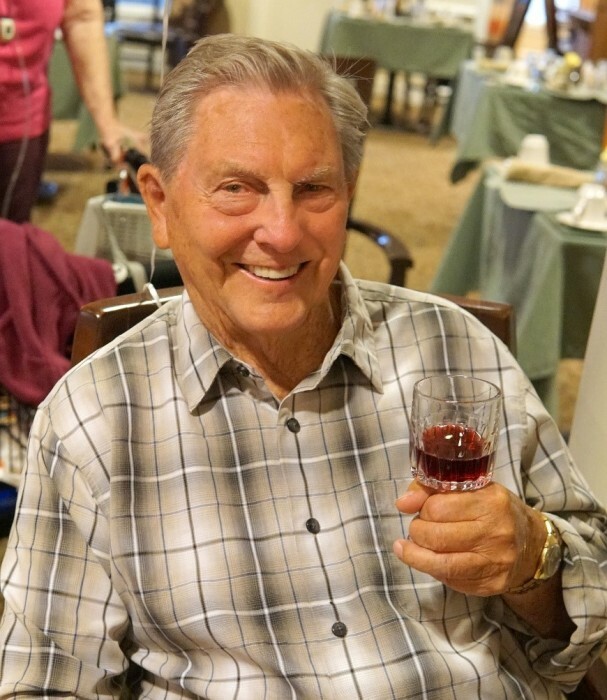 Gail celebrated his 90th Birthday at Sunrise Senior Living in Littleton with family and friends on October 5th and 6th. He was taken to Littleton Adventist Hospital on October 19th and remained there until his death on October 26th. Gail is survived by brother-in-law Richard (Toni), niece Kris (Russ) Bratsch, niece Nancy (Richard) Arstein, grand nieces and nephews Leeana Bratsch, Nic Bratsch, David Arstein, Emma Arstein, great grandnieces Nadia and Crozbie Bratsch, nieces Leah (Paul) Seeusen and Megan Pratt as well as his very special friends Jan Blackman and Vicky and Matt Foster. At Gail’s request, there will be no funeral service. Military rites at Fort Logan cemetery will be held on Friday, Nov. 23 at 1:15 p.m. "Staging Area C". Arrangements are with the Drinkwine Family Mortuary in Littleton, Colorado.